I have devoted my professional life to protecting, conserving and stewarding land and water resources all across North America. I love the outdoors and want to work to conserve these resources for future generations to enjoy. 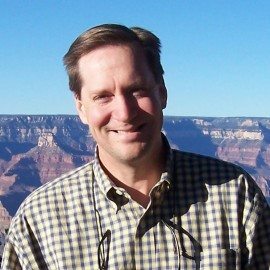 Charles “Chuck” Flink is one of the nation’s leading greenway planners, having completed comprehensive greenway, trail and open space plans for more than 225 communities within 36 states and consulting work in Argentina, Belarus, Canada, China, the Czech Republic, Japan and St. Croix, USVI. Chuck was elected to the American Society of Landscape Architects Council of Fellows in November 2003. Chuck Flink has been passionate about the conservation and stewardship of the outdoors since he was a teenager. He enjoys hiking, biking, riding horseback and participating in all types of outdoor adventures. Some of his most enjoyable outdoors experiences include, swimming with the native pink dolphin in the Orinco River in southern Venezuela, exploring by scuba the Blue Hole off the coast of Belize, hiking around the Maroon Bells near Aspen, Colorado, and bicycling along the greenway system in the Czech Republic. The company that he founded and has owned for the past 25 years, Greenways Incorporated, was an outgrowth of his personal and professional interests. Greenways Inc. afforded Chuck a unique opportunity to become part and parcel of the modern American Greenway movement. Chuck co-authored Greenways. A Guide to Planning, Design and Development, and Trails for the Twenty First Century. He has been featured in prominent national and international publications including National Geographic, Landscape Architecture, and American City/County Planner. He has lectured on the creation of greenways at more than 200 national and international conferences during the past 25 years. Chuck served as a Trustee for the East Coast Greenway Alliance, and as the inaugural Chair of American Trails. Author: "Greenways A Guide to Planning, Design and Development" and "Trails for the Twenty-First Century"